Let’s get one thing straight right at the top: Pittsburgh Craft Beer Week isn’t just a week. I count 11 days, from the kickoff party at Rock Bottom in Homestead on April 14 through the end of the Brewers’ Olympics at Grist House in Millvale on April 24. And while I didn’t count the scheduled events, I’m told there are once again more than 300 on the list. And that seems about right for a region that will have somewhere near 40 breweries by the end of the year. PCBW can seem overwhelming, sure. But it’s also the best time of the year to get a sense of what craft beer lovers have going for us in Western Pennsylvania. There are collaboration beers — seven of them officially, more if you count unofficial efforts — and beers brewed especially for the occasion. But you’ll also have a chance to get a sense of what our breweries — both those that are established and those that soon will be — are all about. With all of the newcomers on the way, I’m especially excited about the preview opportunities available this beer week, the PCBW’s fifth. For example: North Side new guys War Streets, Allegheny City and Spring Hill have teamed up with big brother Penn Brewing for one of the official collaborations, an India Red Lager called Mash Paddle vs. Hipster; Helicon, Eleventh Hour, Dancing Gnome, Mindful and Reclamation — all either just-starteds or almost-readies — all have contributed to collabs as well. And if you take a look at the official schedule — at the PCBW site or on its iOS or Android app — you’ll see lots of preview events, many at 99 Bottles in Carnegie or at one of the Bocktown Beer and Grill locations. You’ll find me at some of those previews, for sure. You’ll also likely see me enjoying a boozy confection on Saturday, having breakfast at Piper’s Pub on Wednesday, wrapping up the week at the Brewers’ Olympics next Sunday … and at a bunch of others in between. It’s the best (a little bit longer than a) week of the year, boys and girls, and it’s ready to begin. See you out there. 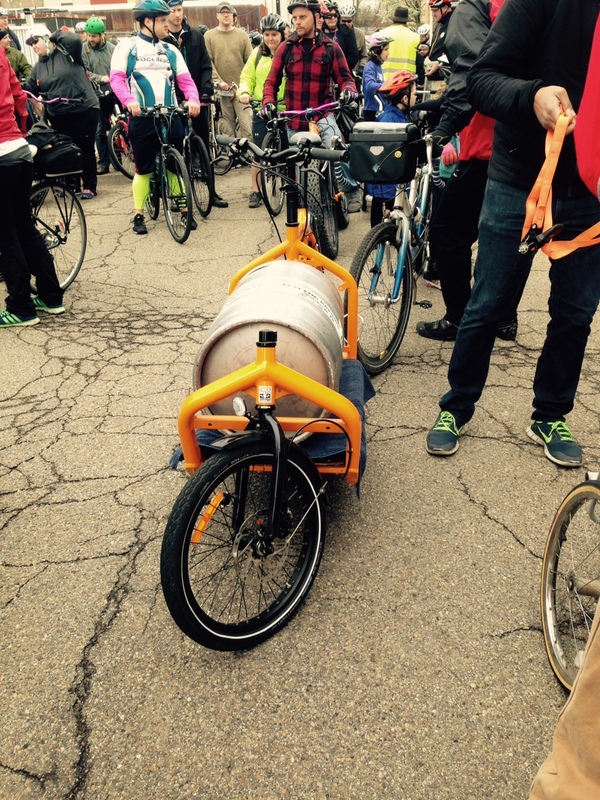 Getting ready to start the East End Brewing Keg Ride. I’m nearing full recovery after the craziness of the fourth-annual Pittsburgh Craft Beer Week, and it’s time to take a look back at how the week unfolded. 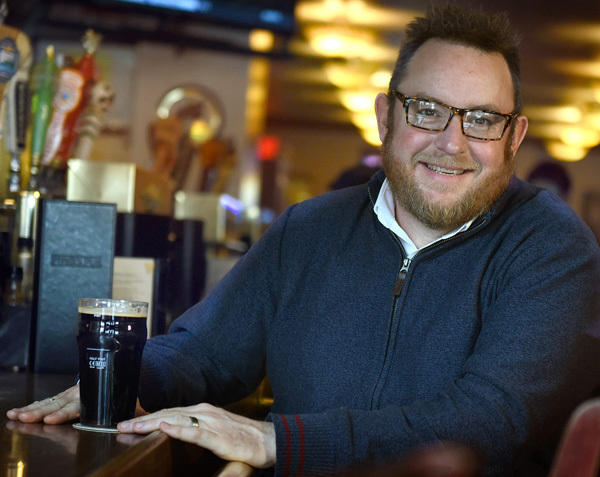 With each year, Beer Week organizers and the other folks in the industry display a little more creativity, finding new ways to showcase the region’s breweries, its brewers and its beer. That doesn’t make picking favorites any easier … but let’s try anyway. Best events: I attended 11 of them over Beer Week’s 10 days, and all made a good impression. 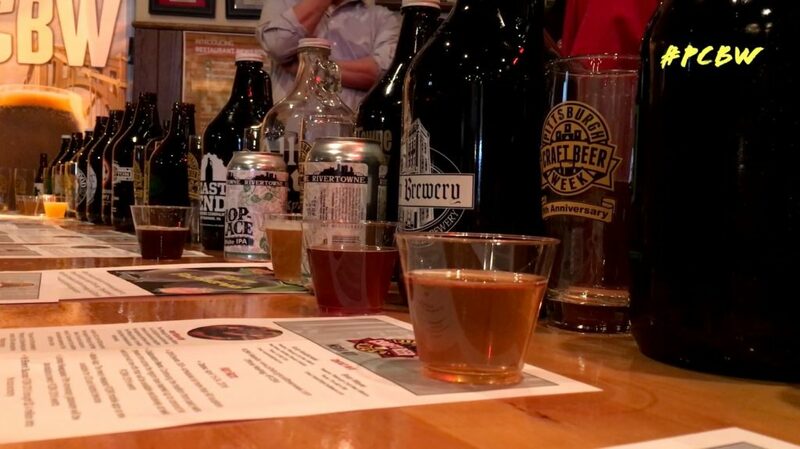 Two events at Carson Street Deli stood out; the local firkin festival did a nice job of showcasing local brewing talents, and I met — and caught up with — a bunch of great people from Erie at a Lavery Brewing dinner pairing. I try to not work during the annual Helltown cask takeover at Piper’s Pub, because who wants to take notes when we could be tasting five of Mt. Pleasant’s best beers. But for pure fun, it would to hard to top a first-time event, the Brewers’ Olympics, held at Grist House in Millvale. It helped that the weather was perfect; it also helped that everyone seemed to be ready to cut loose a little after a long week of more formal events — or as formal as beer events can be. Best beer: And yes, this one is even more difficult. I got through most of the collaboration beers, but I’m sorry to say I couldn’t track down a taste of Ghoul Ranch Burritos or Seasons of Hell. Of the ones I did taste, my pick would be the Old GUYser, a beautifully hopped India pale lager from Penn Brewery, Roundabout and Voodoo. Favorite non-collaboration beers? Let’s call it a draw between a specially prepared cask of Lavery’s Ulster Breakfast Stout and Helltown’s Mischievous Brown Ale. And I have to make mention of one that I may never taste again — a pineapple/toasted coconut/rum barrel-aged mead from Apis that I freaked out over when I tasted it at 99 Bottles. 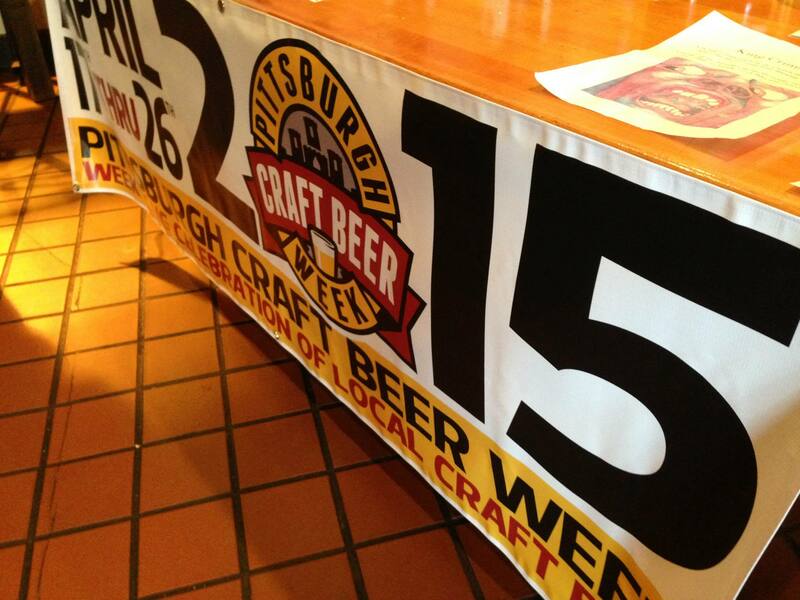 Pittsburgh Craft Beer Week seems to improve every year, which means the fifth edition should be even better. And I should have just enough time to make sure I’m properly rested. Even if you put Christmas, Halloween and the Fourth of July together in one week, it’s not going to be as much fun as Pittsburgh Craft Beer Week. The annual showcase of the region’s craft beer industry, now in its fourth year, gets started this weekend with collaboration beers, beer dinners, beer brunches and what has become the biggest bash of the week — the instantly sold-out Commonwealth Press Beer Barge. And that’s only the first weekend. The rest of the week keeps up a similar pace, with a dizzying list of events all the way through Sunday, April 26. This is the week when it becomes a little easier to track down some of those holy grail beers — you know, stuff like Founders’ Kentucky Breakfast Stout, Goose Island’s Bourbon County Stout, Deschutes Abyss — when they show up at this week’s special events. Even better? We get the full sense of exactly how good we have it here in western Pennsylvania. We have beers brewed specifically for this week. We have eight different collaboration beers, all made by the talented brewmasters we have in the region, available all over town. Want some highlights? On Tuesday, you’ll probably find me at Carson Street Deli, which will host a mini firkin festival featuring Grist House and Hop Farm. Breakfast at Piper’s Pub on Wednesday is an excellent idea, especially if you don’t need to be productive later in the day. Thursday? Yikes — get to the South Side and plan on staying there. Finally, don’t miss the Brewers’ Olympics at Grist House in Millvale on the week’s final day. You’ll pay $15 for the privilege of laughing at with our favorite brewers, and money raised during the event will go to help out the folks at Blue Canoe Brewery in Titusville get back on their feet after last month’s fire. Are you ready? The fun’s about to begin.